Imagine people exploring the deep sea, taking pictures of the underwater landscape and exotic sea creatures and using Wi-Fi networks to share them on the spot through social media sites such as Facebook. 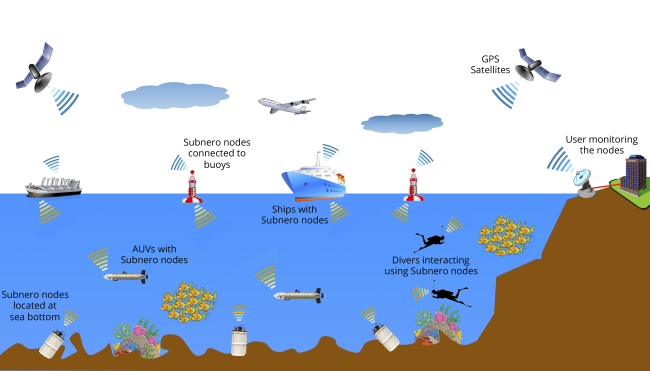 Slowly but steadily, the underwater wireless communications technology environment is becoming a reality thanks to Singapore-based start-up Subnero’s pioneering researchers. The 2-year-old start-up is dreaming of a new Internet revolution deep down in the ocean. “Similar to the original inventors of the Internet, who might never have thought about all the applications we see in today’s Web lifestyle that all of us know, we fully expect there could also be many … (uses of the underwater wireless Internet technology) that we can’t even think about currently,” said Tian Chang Ong, business development manager and mechanical engineer at the Singaporean tech firm, in an email interview. The company made it into the finals of Cisco’s Internet of Things Innovation Grand Challenge, a global competition for IoT start-ups last October, with its cutting-edge wireless nodes. Subnero’s nodes use underwater sound to transmit data for communication. Even though sound waves are much slower than radio waves, they travel farther as they do not get easily absorbed in the water. The wireless node, or modem, runs on software with which users can install the operating system on devices. The modem’s UNET operating system can be updated wirelessly as smartphone operating systems such as Google’s Android and Apple’s iOS can constantly receive updates. “Just as smartphone operating systems have apps that you can download, Subnero’s wireless node also supports apps to extend the functionality of the node ― some of these apps include drivers for underwater sensors, and underwater positioning,” the Subnero manager said. It is possible to install the operating system on other modems and enable Subnero’s features to work in them, something that was previously impossible, he added. The nodes can communicate with each other from distances of up to 3 kilometers at a maximum data rate of 10 kilobits per second. He forecast that the modem will be applied to a wide variety of research and industrial areas including undersea environmental research, underwater communication for tsunami warning systems and augmented reality technology. 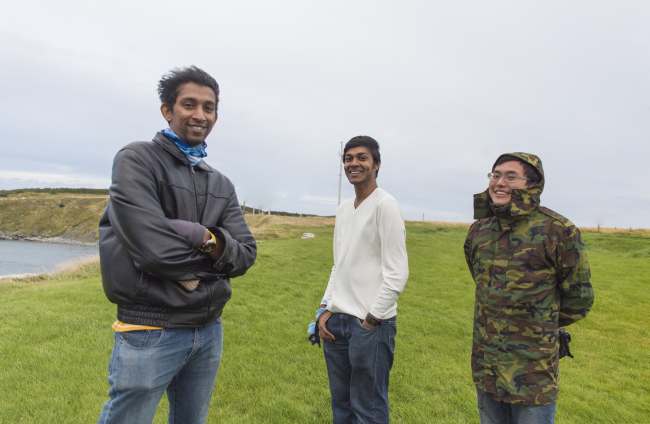 Subnero was founded by Mandar Chitre, a professor at the National University of Singapore; Jay Nagarajan; and Ben Fones, who provided seed funding. The professor is an expert in the field of acoustic communications, and has worked in the field for the last 10 years. Tian said the start-up would make efforts to “stimulate research and innovation in underwater networking,” adding that the company is open to establishing partnerships with Korean companies for further development of underwater communications. The company is currently working together with research centers and universities from the U.S., Europe and Asia to design communication applications based on its undersea technology.